There are a myriad of choices when it comes to monitored DIY home security systems- and in this SimpliSafe vs. LiveWatch Security Review we will compare and contrast two of the most popular alternatives that require minimal contractual obligations. 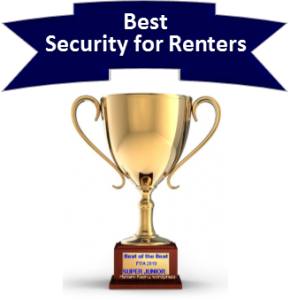 While they may not rank among our very top alarm companies, they provide excellent security options for commitment phobes who don’t want to sign a long term contract. When comparing two companies directly, we will be contrasting a variety of features in 5 separate categories. For comparison purposes, we weigh each of the categories evenly. These categories are listed to the left, and you can jump ahead to the individual category by clicking on the link in the Table of Contents. While we will select a “winner” at the end based on the number of cumulative rounds won, your ultimate choice may vary depending on what your individual priorities are and the weight that YOU assign to a given category. Simplisafe was founded by Chad Laurens about 10 years ago in an effort to provide consumers with quality DIY home security equipment with no contractual obligation. They offer low cost 3rd party monitoring options on a month to month basis for those who want professional monitoring. This business model has served them well over the years and they have maintained and A+ BBB rating. Chris Jounson founded LiveWatch (Previously known as Safemart) 14 years ago and the company has achieved a customer base of over 200,000 homes and small businesses. They have adopted a very unique approach of requiring just a one year agreement, (while still offering a substantial equipment subsidy –similar to that of most companies that require a 3 year contract) in which the customer can return the equipment at any time for a refund. Their commitment to providing stellar customer service,combined with generous equipment subsides has earned them an A+ BBB rating as well. 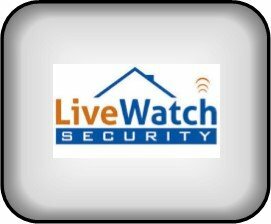 Although both companies have solid reputations, outstanding customer support and have earned a loyal following, LiveWatch Security has maintained that level of excellence slightly longer, offers substantial equipment discounts with minimal commitments and services a larger customer base. Both companies provide UL Listed, Five Diamond Certified monitoring stations and include fully integrated cellular communication modules. What is truly remarkable about LiveWatch Security is that they offer a substantial equipment subsidy while only requiring a one year monitoring agreement. This can save the customer hundreds of dollars in up front equipment costs. The SimpliSafe monthly monitoring fees are significantly lower-with cellular monitoring available for just $14.99 (as opposed to $29.95 with LiveWatch), but they include just the most bare boned features. LiveWatch provides considerably more value in the monitoring packages, as is detailed in our LiveWatch monitoring feature table. No home automation or video surveillance is available on the SimpliSafe system. Nor are any other popular monitoring features such as Alarm.com‘s, “Crash and Smash”, 2 way voice authentication or Geo-Location services…all of which are available at very reasonable rates with LiveWatch. Another distinct advantage with LiveWatch is a proprietary feature called ASAP’er. This innovative feature, included with all their their fully cellular monitoring plans, notifies all members on the emergency contact list almost immediately by their choice of phone, SMS or e-mail via an application which enables group alerts and communications. Both companies offer UL Listed and 5 star certified monitoring services. However, LiveWatch has a clear advantage offering the innovative ASAP’er alert program, Crash and Smash, Geo Location services and 2 Way Voice Assist-with extremely competitive monitoring rates. Both companies are committed to providing superior customer service as is reflected in their A+ BBB ratings. In addition to providing online videos, tutorials and e-books each of them has over 10 years of experience exceeding customer expectations with live telephone, chat and e-mail to ensure customer satisfaction. However, while SimpliSafe offers a generous 60 day return policy….LiveWatch offers an unbeatable 12 month return window. That’s right, they extend return privileges for an entire year! If you aren’t happy, return the system in like new condition and they’ll refund your equipment costs. This category was close, as both companies excel when it comes to support and service and have had a similar length of time to prove it…but, LiveWatch gets the nod on the strength of their industry leading One Year Return Policy. LiveWatch offers a couple of different control panel options. The standard panel in their Basic Monitoring package is the GE Simon XT. This is a very reliable system which has enjoyed a proven track record among most of the top alarm companies for a number of years. The basic equipment package is just $99 with a one year agreement, and includes 100% cellular monitoring for just $29.95. The upgraded touchscreen panel from Qolsys is available at this monitoring price point for just $299. When you step up to any of the LiveWatch advanced monitoring packages (Mobile Pro, Total Home or Total Home + Video), you currently receive a Free $200 equipment upgrade to their premium touchscreen panel, made by Quolsys. 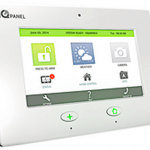 It an outstanding value at the $299 price point, but it is a steal at just $99 as the cornerstone of a base security package that also includes 2 door/window contacts and a pet friendly motion detetctor. It comes fully equipped with cellular, wi-fi and z-wave communication technologies housed in a beautiful 7’ Android touchscreen user interface. 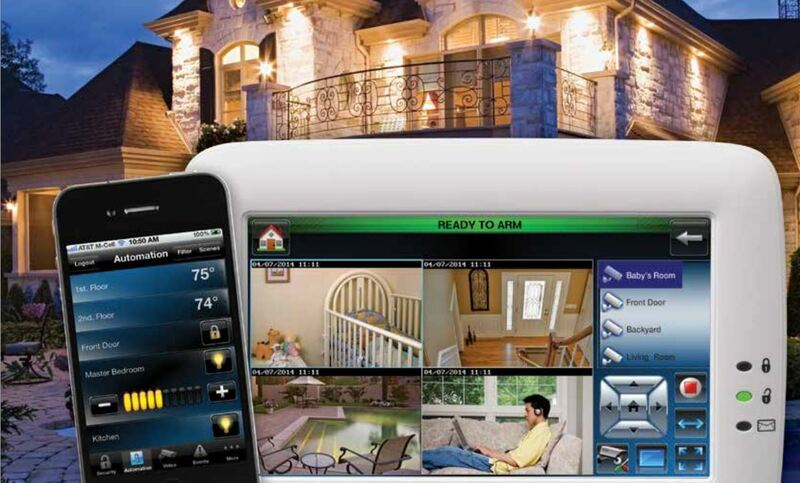 The feature rich Qolsys IQ will manage the most extensive security and home automation configurations with ease. And if that isn’t enough it displays current weather conditions and even has a built in camera to identify who is disarming the system. The cost of additional sensors are extremely competitive, with door and window sensors starting at just $30 – with a lifetime warranty as long as you maintain LiveWatch monitoring services. In contrast SimpliSafe approaches the equipment and technology with a philosophy that is much more…well…simple. They keep their costs down by using proprietary equipment that appears somewhat dated…but, has proven reliable enough to extend a full 3 year warranty. SimpliSafe is currently available at Amazon for just $259.95! While the system doesn’t have all the bells and whistles- it gets the job done and is simple to install and set up. While it doesn’t offer Crash and Smash protection, the keypad and the central control and communications hub are separate units. This means that the hub can be located to optimize cellular reception and hidden discretely to prevent an intruder from disabling the unit. When it comes to equipment and technology, LiveWatch offers a clear advantage. 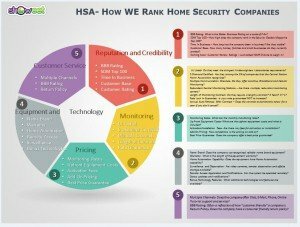 They offer the latest technology and brand name components from 2 major home security manufacturers- GE Interlogix and Qolsys, as opposed to the somewhat antiquated, proprietary equipment from SimpliSafe. The Qolsys system is a virtual technological tour de force with a gorgeous 7” touchscreen user interface, integrated cellular, z-wave, wi-fi and bluetooth communication capabilities, which can perform almost any security, video or home automation functions that you can imagine. Offering no video or home automation capabilities…SimpliSafe “simply” can’t compare in this category. While SimpliSafe offers lower monitoring rates, the up front costs for a basic system are substantially higher. In addition, LiveWatch offers substantial equipment subsidies with their monitoring programs…which increase with the more advanced monitoring options! 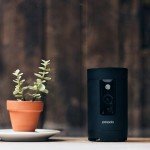 While SimpliSafe offers an easy to install, no frills approach to security at an affordable price, overall, LiveWatch earns a clean sweep in this comparison. 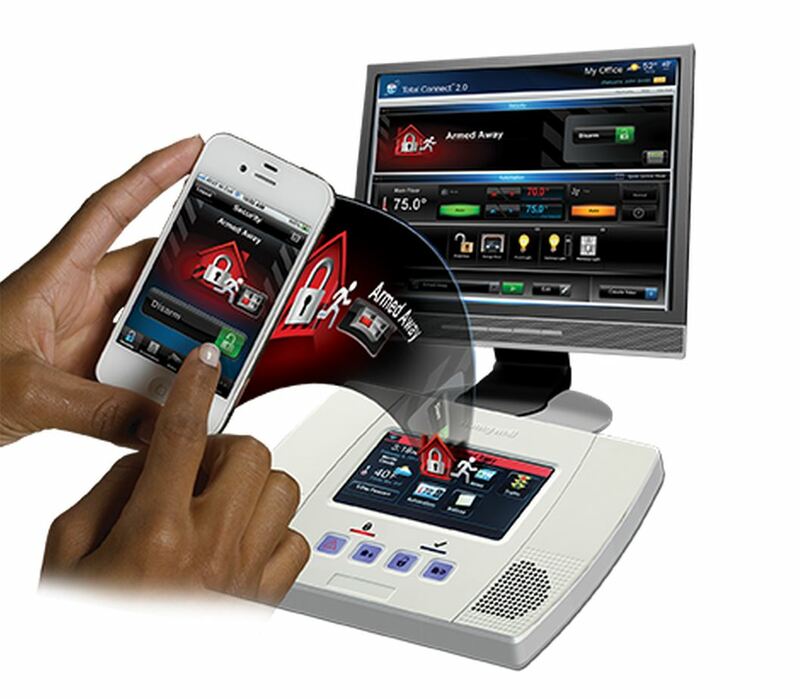 They offer a broad scope of security and home automation equipment, cellular monitoring rates that start at just $29.95, state of the art components and innovative and desirable monitoring features such as “Crash and Smash” Protection and their exclusive ASAPer alert program. So which is best for me- Simply Safe or LiveWatch? While the comparison might lead one to conclude that LiveWatch wins by a landslide on paper, iin real life, each of the programs has appeal to different buyers. While LiveWatch offers a very wide array of choices-with some slick equipment and a multitude of monitoring options, SimpliSafe has a more focused approach. If you are looking for very basic home security that is easy to install, and have no interest in home automation, video monitoring or touchscreen keypads-with either no contract or the lowest possible cellular monitoring costs, SimpliSafe is for you. For more information on SimpliSafe, check out our SimpliSafe Review. If you want lower up front costs, minimal contract commitments and access to the latest technology with total flexibility to create a more comprehensive security and home automation system-LiveWatch may better suit your needs. LiveWatch has plans to meet the full spectrum of security needs with plans that start at $29.95 for 100% cellular monitoring. 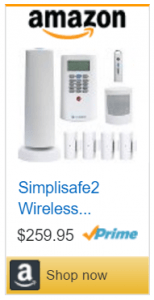 What if I want to switch monitoring companies with SimpliSafe? One of the major differences between SimpliSafe and LiveWatch is their choices of equipment manufacturers. LiveWatch has elected to feature equipment that is manufactured by two of the largest home security companies- GE Interlogix and Qolsys. These are almost universally compatible and can easily be taken over by most reputable security companies. SimpliSafe uses proprietary equipment that is specific to their company. Consequently, the equipment is NOT compatible with most other alarm companies. Thank you for visiting. Please feel free to leave your comments and feedback on this SimpliSafe vs LiveWatch Security Review, below.